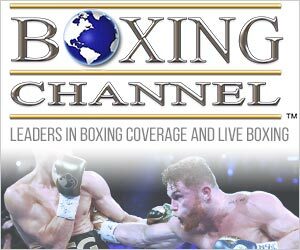 Showtime televised a triple-header from Barclays Center on September 8 headlined by Shawn Porter versus Danny Garcia for the vacant WBC 147-pound title. 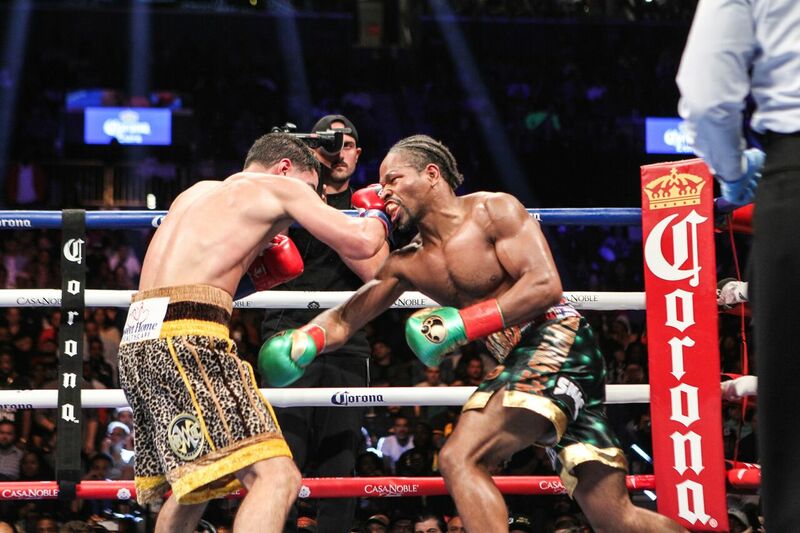 Showtime televised a triple-header from Barclays Center on September 8 headlined by Shawn Porter versus Danny Garcia for the vacant WBC 147-pound title. That belt became available when Keith Thurman, who narrowly decisioned both Porter (2016) and Garcia (2017), was forced to relinquish his title due to injury-induced inactivity. 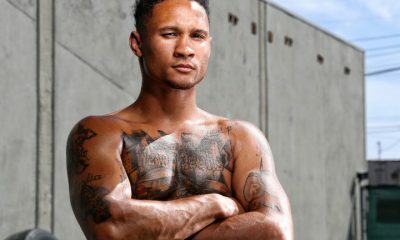 Porter, who will turn 31 on October 7, had amassed a 28-2 (17 KOs) ring record in ten years as a pro. He won the IBF 147-pound belt in 2014 with a fourth-round knockout of Paulie Malignaggi, but lost it by majority decision to Kell Brook in his next outing. Since then, he had defeated Erick Bone, Adrien Broner, Andre Berto, and Adrian Granados but dropped a decision to Thurman. Garcia (now 34-2 with 20 KOs) is seven months younger than Porter. 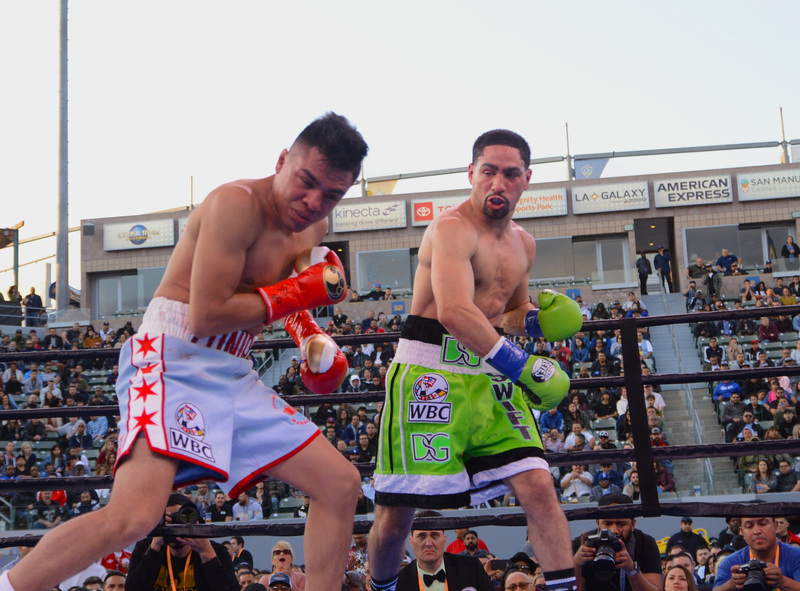 He rose to prominence with an upset knockout of Amir Khan in 2012 that earned him the WBA and WBC 140-pound belts. 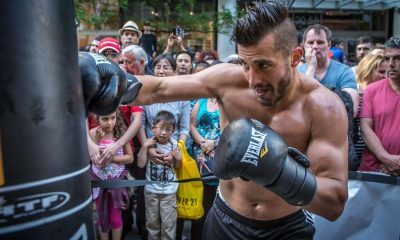 One year later, he solidified his standing with a decision over Lucas Matthysse. His most formidable test came on March 3, 2017, when he lost a split decision to Thurman. Porter and Garcia are trained by their fathers. But there’s a significant difference in the way that plays out. Kenneth Porter maintains a dignified public profile, while Angel Garcia often comes across as a boorish provocateur. 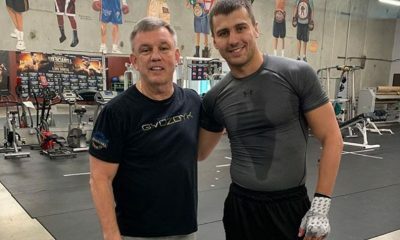 Neither trainer was onstage for the July 30 kick-off press conference in New York or the final pre-fight press conference on September 6. In part, that was because the promotion wanted to avoid the type of racist homophobic rant that Angel has engaged in under similar circumstances in the past. 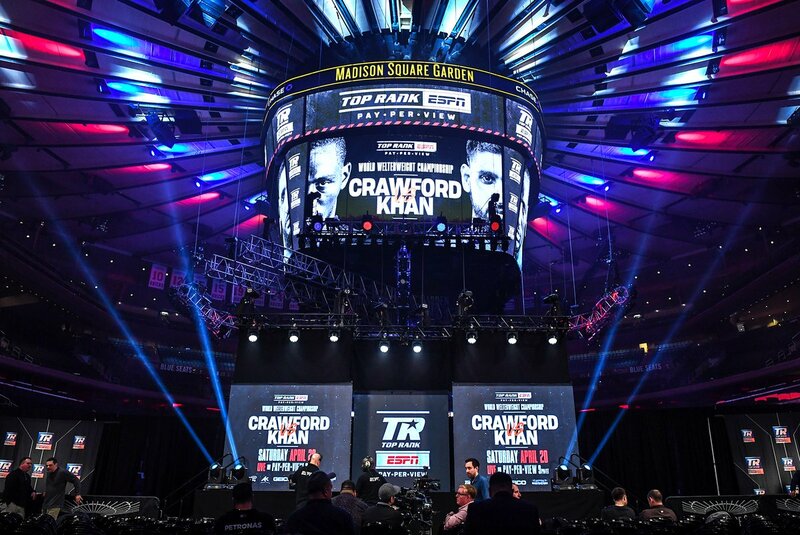 There was an announced crowd of 13,058 at Barclays Center on fight night. The first televised bout of the evening on Showtime was a heayweight match-up between Charles Martin (25-1, 23 KOs) and Adam Kownacki (17-0, 14 KOs). 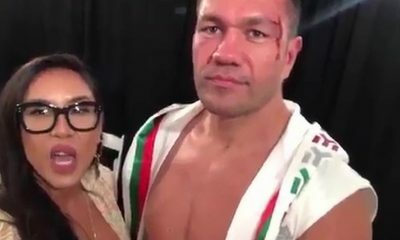 Martin age 32, is on the short list of least impressive heavyweight beltholders ever. 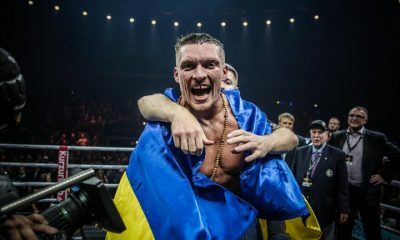 Two years ago, he fought Vyacheslav Glazkov for the vacant IBF title. 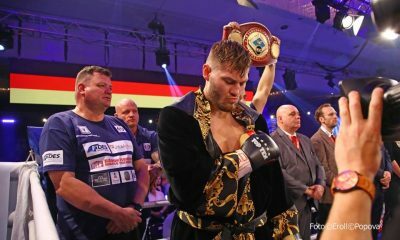 Forty-eight seconds into round three, Martin stepped with his lead foot onto Glazkov’s lead foot and Vyacheslav went down awkwardly. 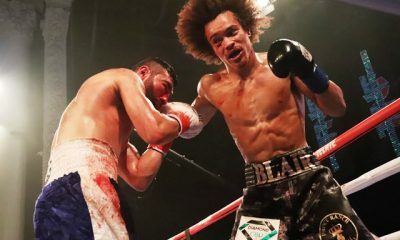 Seconds later, as Glazkow was throwing a right to the body, he tumbled to the canvas and rose, limping bady. At that point, without a meaningful punch having been landed, the fight was stopped. A subsequent examination revealed that Glazkov’s anterior cruciate ligament (ACL) had been torn clean through. Twelve weeks later, Martin fought Anthony Joshua in London for a wheelbarrow full of money and was knocked out in the second round. Other than Joshua, he has never fought a world-class opponent. Kownacki, age 29, is a big, tough, often-out-of-shape fighter whose management has cherry-picked opponents from the list of usual suspects. He seems most comfortable in the ring when brawling. While he isn’t a big puncher, he takes a good punch. And the damage from his blows adds up. He wears down opponents over the course of a bout. Kownacki weighed in to face Martin at 263-1/4 pounds, his most ever for a fight. Martin tipped the scales at 246. The 7-to-5 odds in Adam’s favor reflected the view that, while Martin might hit harder, Kownacki was mentally stronger and had the better chin. It was a sloppy spirited action bout, entertaining and inartfully fought. Both men fought as though they didn’t know much about defense. Or if they did, they couldn’t put it into practice. 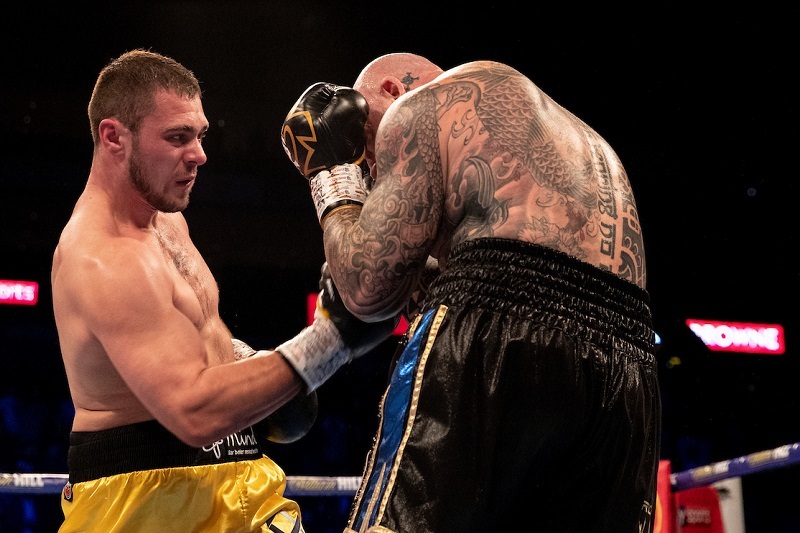 Both fighters looked tired as early as round three, although Kownacki seemed ready to fight at the start of each stanza while Martin invariably looked as though he could use another thirty seconds of rest. All three judges scored the contest 96-94 for Kownacki, which was a bit more generous to Martin that the action called for. Adam will now move toward a more lucrative fight while Martin slides further toward opponent status. Kownacki-Martin was followed by a WBC welterweight “title elimination bout” between Yordenis Ugas and Cesar Barrionuevo. That encounter devolved into twelve rounds of boredom marked by jeers and boos from the crown and ended in a 120-108, 120-108, 119-109 decision for Ugas. Porter, a 3-to-2 underdog, looked sluggish in the early going. 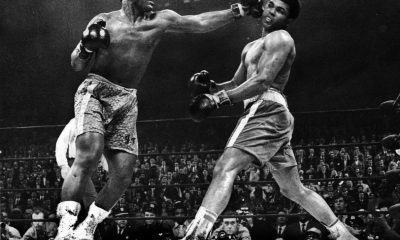 The swarming aggression that normally characterizes his ring style wasn’t there. One reason for that might have been effective counterpunching from Garcia, who also managed to hold and tie Shawn up whenever Porter got inside. The action heated up in the second half of the fight when Shawn began fighting with more intensity. It was a hard bout to score with the judges in agreement on only four of twelve rounds (round 1 for Garcia; rounds 4,6, and 7 for Porter). That led to a 116-112, 115-113, 115-113 verdict in Porter’s favor. This writer scored the fight even at 114-114. Thomas Hauser can be reached by email at thauser@rcn.com. His next book – Protect Yourself at All Times – will be published by the University of Arkansas Press this autumn. In 2004, the Boxing Writers Association of America honored Hauser with the Nat Fleischer Award for career excellence in boxing journalism.